Tony Christian Halme was a professional wrestler best known by the ring name of Ludvig Borga with the WWF. He was also an author, actor, singer and even a politician – Halme was a member of the Finnish Parliament from 2003-2007. Tony was born on January 6, 1963 in Helsinki, Finland. He was a troubled kid who cultivated a tough persona and was known to be a bully on behalf of other kids. One has to wonder if this was an early indicator of the Ludvig Borga death. By his teens, Halme began power training and weight lifting. The troubled kid went on to have a varied career, inside and outside the ring. He began by joining the Finnish military and training with the Finnish military sports team. Tony’s athleticism was on display when he appeared in the Finnish television show Gladiattorit (or Gladiator) under the name Viikinki. He was also a professional boxer (who held the Finnish Heavyweight championship) and a MMA fighter. As Ludvig Borga, Halme he went on to fame in the World Wrestling Federation. He also became the first fighter from a Nordic country to compete in the UFC. Throughout his athletic career, Halme was known for his aggressive and powerful persona. The Ludvig Borga death news was perhaps foreshadowed by this persona. In his early career, Tony was trained by Verne Gagne. 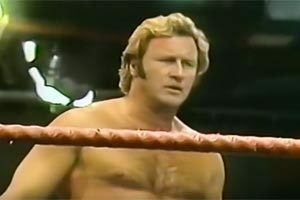 Halme worked to enhance his tough guy image by defending himself in well-publicized bar brawls and began making a name for himself as a powerhouse professional wrestler. 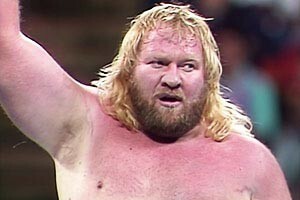 Going by the ring name of the Viking, he began his professional wrestling career with Herb Abrams’ Universal Wrestling Federation. Viking’s first appearance was on October 29, 1990. He defeated the Patriot and then went on to defeat Kevin Benjamin. Like many other wrestlers, Halme spent time in Japan. 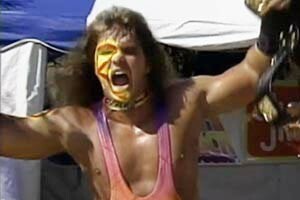 On December 26, 1990 he appeared for the first time on New Japan Pro Wrestling. On July 6, 1993, Ludwig Borge (later to become Ludvig Borga) debuted as a wrestler with the World Wrestling Federation in a television taping of ‘WWF Superstars’. Ludvig’s gimmick was that he was a Finn who looked down on America due to deficiencies like the education system and environmental laws i.e. the stereotypical “cheap heat” gimmicks that worked wonders in the 80s and first half of the 90s. He used the Finnish national anthem as his entrance music and went by the nickname “The Hellraiser from Helsinki”. After ending Tatanka’s winning streak, Borga moved from the midcard up to main event status. He feuded with a baby faced Lex Luger. Luger was in the midst of his “All American” gimmick, which made for a fitting rivalry with Borga’s foreign heat. At the ’93 Survivor Series, Ludvig Borga teamed with Yokozuna, Quebecer Jacques, and Crush. They were known as the Foreign Fanatics. 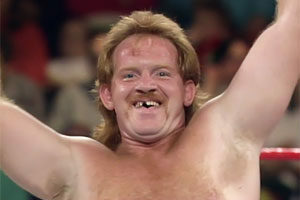 The Foreign Fanatics took on the All-Americans (Lex Luger, The Undertaker, and The Steiner Brothers) and were defeated by them when Borga was pinned by Luger. With the Intercontinental Championship on the line, Ludvig faced Razor Ramon on December 14th, 1993. He defeated Ramon but the decision was reversed when Shawn Michaels interfered and hit Ramon with a fake title belt. Ludvig’s career with the WWF proved to be a short one. 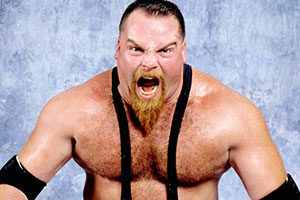 On January 17, 1994 he injured his ankle in a match with Rick Steiner. 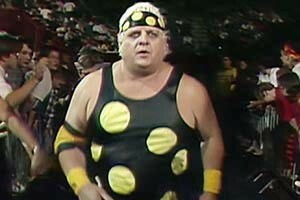 The injury caused the WWF to scrap Borga’s planned appearance at the Royal Rumble. 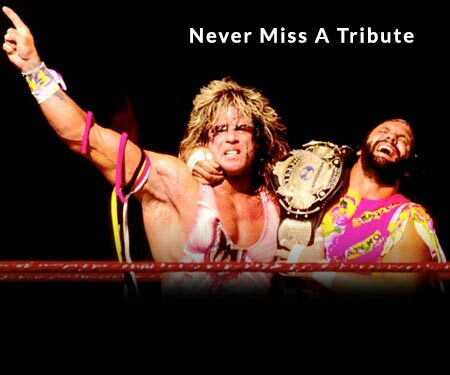 A planned WrestleMania match against Earthquake was also cancelled. One is forced to wonder if the abrupt end of his wrestling career was another factor in the eventual Ludvig Borga death. After his career with the WWF ended, Tony had a varied career in professional fighting, acting and politics. 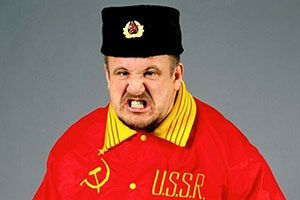 Halme wrestled for the Catch Wrestling Association from 1995-1997, winning a single championship. 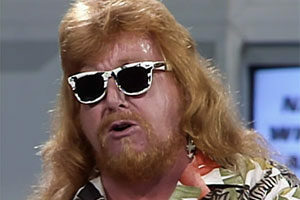 He retired from professional wrestling in 1997, but continued mixed martial arts fighting where he saw limited success. Halme fought in RINGS (Japan) and went 0-4. He also briefly fought in the UFC, losing his only bout to Randy Couture. Halme had a brief acting career, most notably landing a small role in Die Hard: With a Vengeance. Tony Halme became a member of Finland’s Parliament in 2007 and remained in parliament until 2010. During his parliamentary career he continued to be a controversial figure. At one point even being forced to apologize for inaccurately referring to Finland’s new president as a lesbian. The Ludvig Borga death occurred on January 8, 2010 from a a self-inflicted gunshot wound. It took two days for his body to be found. Ludvig Borga’s death occurred in the wake of a July 2003 incident when he fired a handgun in his apartment while impaired by alcohol and drugs. His trial was shown live on television and he received a suspended sentence. No stranger to having trouble with the law, Halme was convicted in 2006 of driving while impaired. He suffered from cirrhosis of the liver and pancreatitis. His various illnesses caused Tony to be involuntarily committed to a mental hospital in March of 2006. Sadly, the Ludvig Borga death news appears to have been the inevitable outcome. Halme’s battle with drug and alcohol addiction, along with a violent personality was a recipe for disaster. 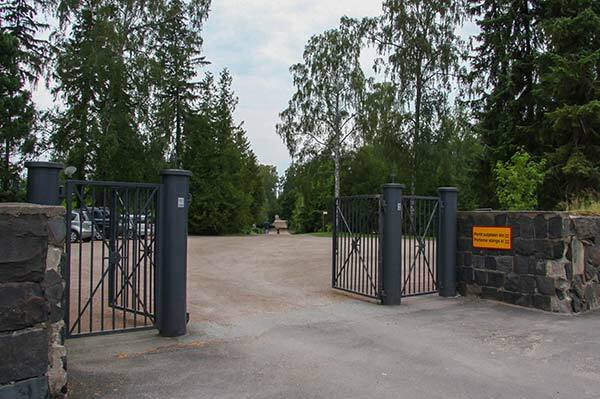 Tony Halme’s grave is located at the Hietaniemi Cemetery in Helsinki, Finland. Have a comment about Ludvig Borga? Sound off in the comments section below!